The Grafton County Conservation District completed a project using grant funds from the State Conservation Committee Conservation to reduce soil compaction and improve air, nutrient and water infiltration by making available an AerWay soil aerator with broadcast seeder to area farmers through a rental program. Workshops were held to demonstrate equipment use and effective soil health management practices. 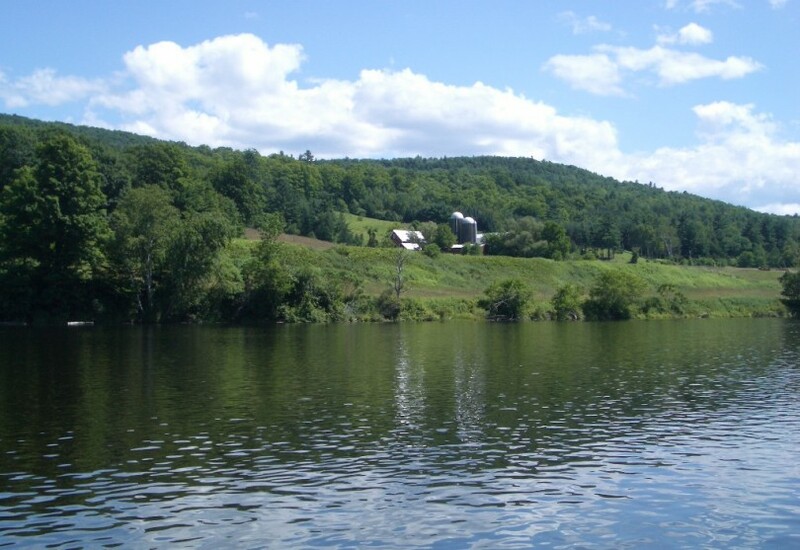 The Ammonoosuc Conservation Trust received a grant that helped conserved 311 acre Johnson Farm and Islands located in the scenic Connecticut River Valley of Monroe, NH. The project protects agricultural lands, scenic views, water quality, wildlife habitat and provides new recreational opportunities on the Connecticut River. 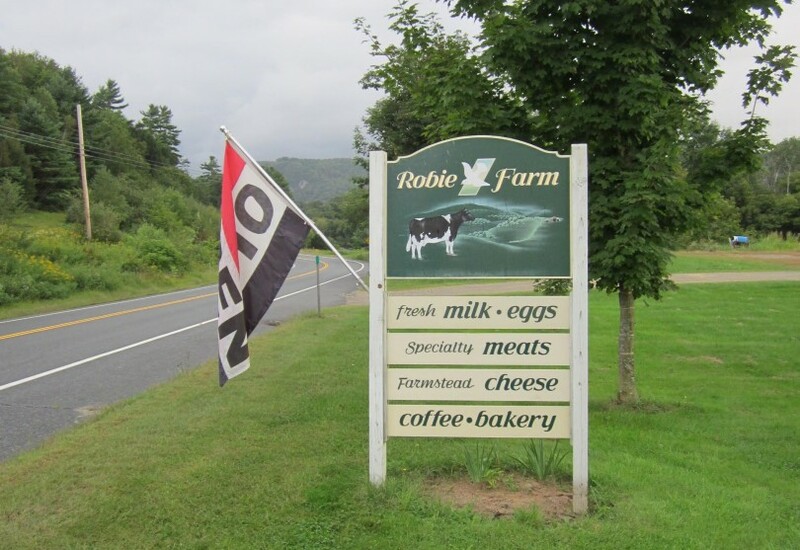 The Trust for Public Land conserved the Robie Farm, a working dairy farm in the Town of Piermont. 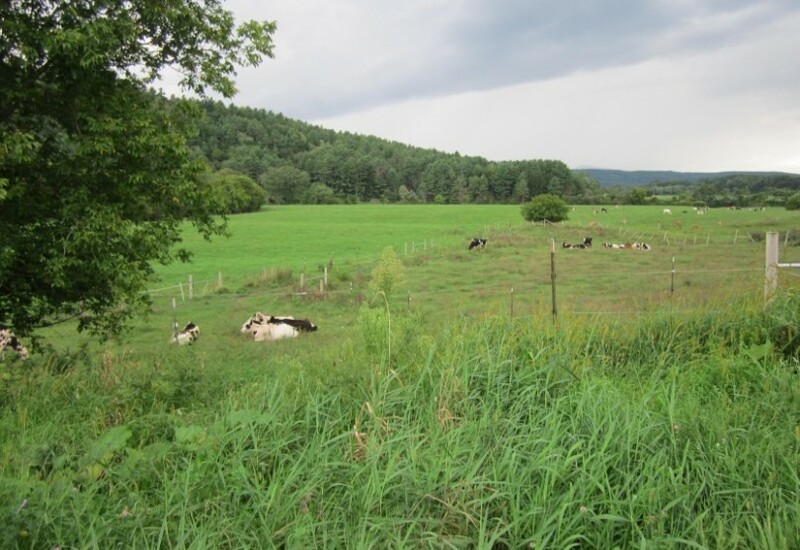 The conservation easement, held by the Ammonoosuc Conservation Trust, will ensure the protection of nearly a mile of Connecticut River frontage, the conservation of prime and statewide important agricultural soils, habitat for migratory bird, and habitat for a variety of other species using open pastureland and woodland. 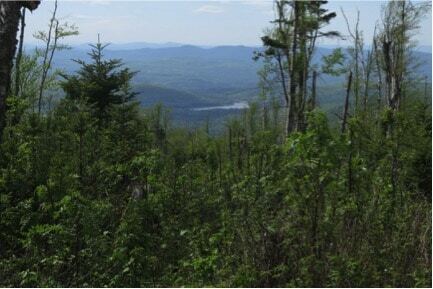 The Ammonoosuc Conservation Trust, with a grant from the NH State Conservation Committee, has conserved the 840 acre Cooley-Jericho Community Forest in Easton, NH. The is property is now locally owned, community controlled, conserved forever, and offers benefits including long-term timber management, protection of wildlife habitat, guaranteed public recreation, a protected view shed for four towns and a place for environmental education. Moose Plate funds helped conserve historic portraits of Minot-Sleeper Library’s founders. Visit them when you’re in Bristol! A grant was awarded to the Grafton County Conservation District to fund the construction of a roof over a heifer feed area at a Briar Stone Farm, a dairy farm in North Haverhill. 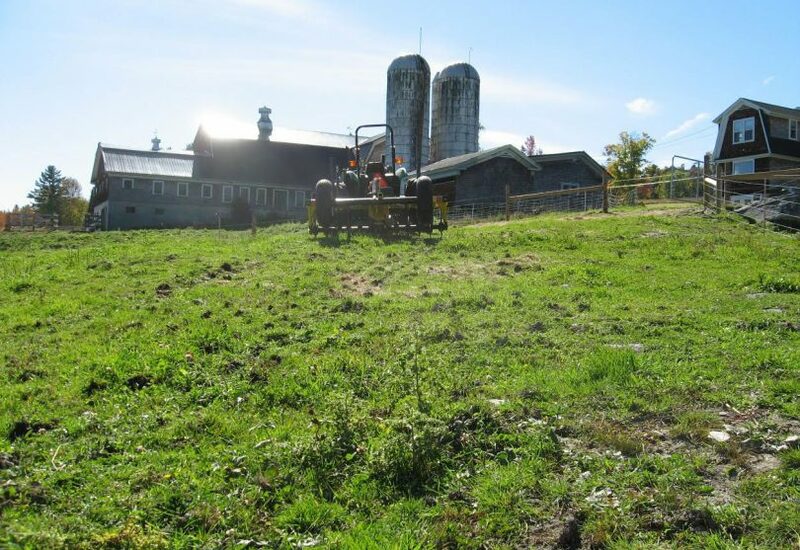 Utilizing best management practices, the project prevented precipitation from mixing with waste, enabled barnyard runoff to be managed, and resulted in improved water quality in a nearby brook. The town of Warren was awarded a grant to conserve and microfilm Warren’s original handwritten town records containing personal inventories and taxes assessed them. In 2007 Plymouth State University was awarded a $17,000 grant for the Beyond Brown Paper interactive website / virtual exhibition. Funded by a Cultural Conservation Grant from the New Hampshire State Council on the Arts, 250 of the 11,000 photographs were scanned with preservation quality resolution. A computer workstation was purchased and set up in Berlin which provided internet access to these images and the capacity for users to provide information on the images either by phone or computer. The Arts Alliance of Northern New Hampshire worked as a partner in making connections with Berlin-area community organizations and volunteers and in linking this project to a variety of local cultural initiatives. The Brown Company Photographic Collection documents much of the history of the Brown Company of Berlin, New Hampshire from the late nineteenth century through the mid-1960s. Among the subjects depicted are the varieties of work activity from the felling of trees to the final manufacture of pulp and paper in Berlin and Gorham. Also shown are engineering projects, the construction of mills and the installation of new equipment and machinery. A significant portion of the collection chronicles the social, cultural, and recreational lives of the workers, their families and the place of these people in the life of Berlin itself. 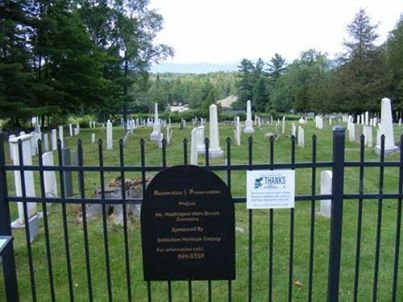 A grant was awarded to repair and clean remaining stones, preserve broken pieces, repair north and west boundary walls, repair pillars and restore the cemetery gate at the Mt. Washington Cemetery. The Holderness Library is a one-story brick building with a small wooden enclosed entry porch. It celebrated its 100th anniversary in 2011. 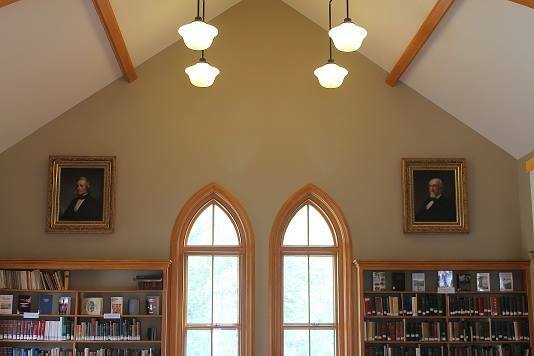 The library has undertaken repairs to the slate roof and applied for a grant to remove a drop ceiling that is not original to the building and restore the original plaster ceiling which suffered from water infiltration prior to the roof repairs. They were awarded a $10,000 grant to complete this restoration project. 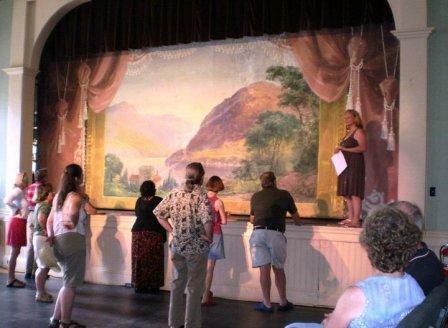 In 2011, a grant of $9,978 was used for restoration of a 1909 hand-painted theater curtain in Enfield. The town had purchased the grand drape and additional scenery for $264 from the O.L. Story Scenic Company in Boston. 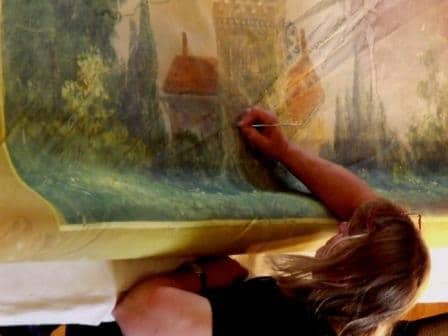 The long-forgotten curtain was found stored in the old town hall and was restored and re-hung in the current town hall in time for the town’s 250th anniversary celebration.